How to unlock ZTE Blade A5 by code ? 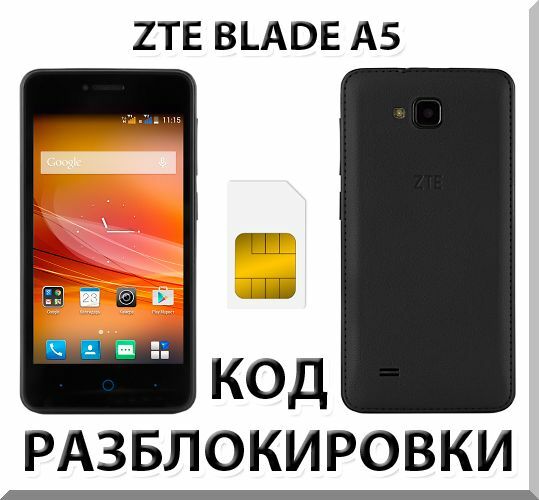 Unlocking ZTE Blade A5 by code is very easy, it is also safest and non-invasive method of unlocking your phone. To get code for unlock ZTE Blade A5 You need to provide IMEI number of your ZTE Blade A5. Type on keyboard *#06# or remove battery from Your ZTE Blade A5 to check IMEI number. IMEI is written on the information label under battery (it´s a 15 digit number). This code will only work with ZTE Blade A5, it won´t work with other ZTE models. Note! No matter which slot you want to unlock, in the registration form you need to specify imei from first slot of your device. Then insert into the first slot of your ZTE Blade A5 SIM card from another operator and enter the received code. Both SIM card slot (first and second) will be unlocked.